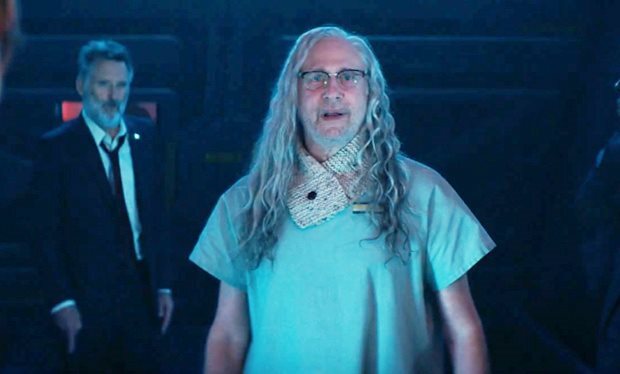 This morning 20th Century Fox dropped the first full trailer for Independence Day: Resurgence, not just a sequel to the 1996 blockbuster but the first in a brand new ID4 trilogy. Naturally, the trailer has a lot of heavy lifting to do in a short amount of time and while it seems to accomplish that by setting up characters a good portion of time is spent just spouting lines from the first film. Almost the entire trailer is a wink and an nod to Bill Pullman’s now famous Fourth of July speech from Independence Day just using slightly different dialogue. That being said, at least director Roland Emmerich seems to have some kind of plan and has genuinely created a brand new universe based on the events of the first movie. Humanity hasn’t just forgotten about the alien invasion that wiped out most of the planet but rather embraced it and used the leftover alien technology to bring us into a new space age. 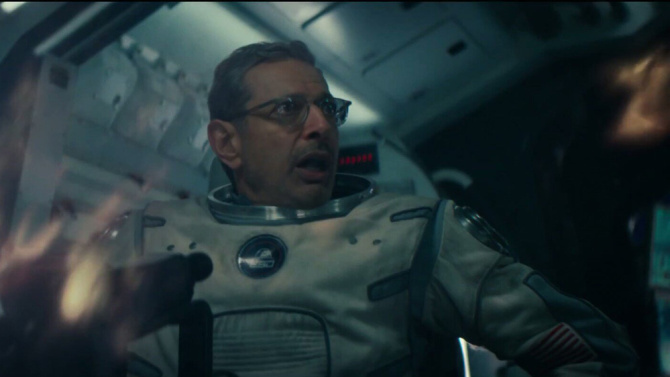 Jeff Goldblum is back in space in the new ID4 movie. Almost all the familiar faces are back, even Will Smith, who has been cleverly written out but still shows up in a photograph. Judd Hirsch looks like he still hasn’t shaved and Bill Pullman looks like he’s the Randy Quaid of the movie. Sadly, Quaid wasn’t asked back to due to turning into a raving lunatic fugitive between movies. Bill Pullman is back in the new movie and he’s even joined by a character presumed dead. Arguably the entire movie is a bit of a gamble cashing in on decades old nostalgia. The original movie, while a certified action classic, was a relatively straightforward affair that didn’t push the envelope. By bringing new life and a new twist on the already established universe it opens up a whole new playground for the characters to play in and that could be lots of fun. There is no good reason, with access to high-tech alien ships and weapons, the franchise could not find itself off of Earth and into deep space. If done right it could be a big budget franchise in the vein of Farscape or Star Trek: Enterprise. Independence Day: Resurgence opens everywhere June 24, 2016.